1. They do not treat or cure any disease. Food allergy is directed against a protein (beef, dairy, and chicken most commonly1) and feeding them raw chicken or beef doesn’t change anything—they’re still eating a protein to which they’re allergic. If you suspect your pet has a food allergy (either because they have gastrointestinal problems or skin/ear problems) then you need a hypoallergenic novel protein diet, meaning a single source of protein and a single source of carbohydrate to which the pet has never before been exposed. Over the counter diets that claim to be limited ingredient are often contaminated with regular dog food2, so they are not appropriate for a food allergic patient. A commercially available prescription diet or a home-prepared novel protein diet (with cooked meat) is the best recommendation. Commercially available prescription hypoallergenic diets from companies such as Royal Canin, Hill’s, or Purina are guaranteed to be pure. They are either made in separate factories or have stringent cleaning procedures between batches, and they are tested for contamination. Beware that it only takes an incredibly small amount of offending protein to make a food allergic pet react, so any treats, rawhides, flavored medications (heartworm and flea preventative), or pill pockets must be temporarily discontinued during the 8 week diet trial (use topical heartworm and flea preventions temporarily instead). It will really work better under the guidance of a board-certified Internal Medicine specialist (for GI disease) or dermatologist (for skin/ear disease), because secondary conditions like infections have to be managed concurrently to tell if the diet trial is helping. Go to dermvets.com to schedule an appointment if interested. especially for cats with their increased dietary needs for taurine3-4 and arachidonic acid.5 The idea that wolves eat raw meat in the wild is often used to justify raw meat diets in pets. The problem with that logic is that dogs are not wolves. Dogs were domesticated by humans between 14,7006 to 36,0007 years ago, and they are a completely different species from wolves. In the thousands of years they’ve been living with humans (and eating our scraps), dogs developed a much different GI tract from wolves. They have ten canine-specific genes with roles in starch and fat metabolism that were altered from their wolf ancestors, increasing the amount of amylase they produce and allowing dogs to eat more of our starch-rich diet.8 This means that dogs are meant to eat some amount of carbohydrates, along with protein and fat. Dogs are omnivores. We all accept the idea that we need to wash our hands and disinfect any plates or surfaces that have touched raw meat. Why would that concept not extend to your pet’s food bowl? Pathogenic bacteria can cause GI illness in dogs and cats just like humans, and I personally know of a large number of dogs fed raw-food diets that ended up in the emergency room with life-threatening GI bugs. What if a pet eats contaminated raw food for dinner, then licks a child in the face? Children, elderly family members, and any immune-compromised individual (pregnant women, anyone on chemotherapy, patients with HIV/AIDS, or anyone taking immune-suppressing drugs for diseases like psoriasis or lupus) could be put at risk with raw meat and contaminated food bowls around the house. Critically appraised topic on adverse food reactions of companion animals (2): common food allergen sources in dogs and cats. Mueller RS, Olivry T, Prélaud P. BMC Vet Res. 2016 Jan 12;12:9. doi: 10.1186/s12917-016-0633-8. Critically appraised topic on adverse food reactions of companion animals (5): discrepancies between ingredients and labeling in commercial pet foods. Olivry T, Mueller RS. BMC Vet Res. 2018 Jan 22;14(1):24. doi: 10.1186/s12917-018-1346-y. Bauer JE. J Am Vet Med Assoc. 2006 Dec 1;229(11):1729-32. Metabolic basis for the essential nature of fatty acids and the unique dietary fatty acid requirements of cats. Germonpre, M. (2009). “Fossil dogs and wolves from Palaeolithic sites in Belgium, the Ukraine and Russia: Osteometry, ancient DNA and stable isotopes”. Journal of Archaeological Science. 36 (2): 473–490. doi:10.1016/j.jas.2008.09.033. Finley R, Reid-Smith R, Weese JS, et Human health implications of Salmonella-contaminated natural pet treats and raw pet food. Clin Infect Dis. 2006;42:686-691. Stiver SL, Frazier KS, Mauel MJ, et al. Septicemic salmonellosis in two cats fed a raw-meat diet. J Am Anim Hosp Assoc 2003;39:538–542. LeJune JT, Hancock DD. Public health concerns associated with feeding raw meat diets to dogs. J Am Vet Med Assoc 2001;219:1222–1225. Freeman LM, Michel KE. 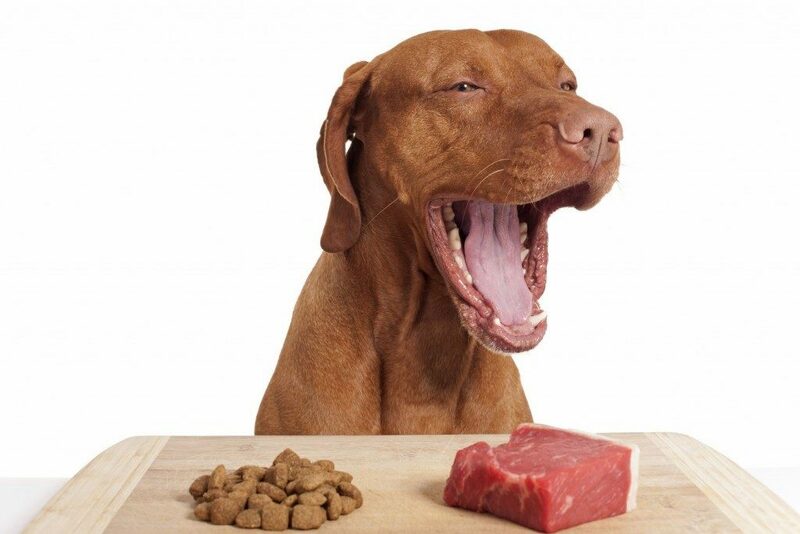 Evaluation of raw food diets for dogs. J Am Vet Med Assoc. 2001;218:705-709. Weese SJ, Rousseau J, Arroyo L. Bacteriological evaluation of commercial canine and feline raw diets. Can Vet J 2005;46:513–516.